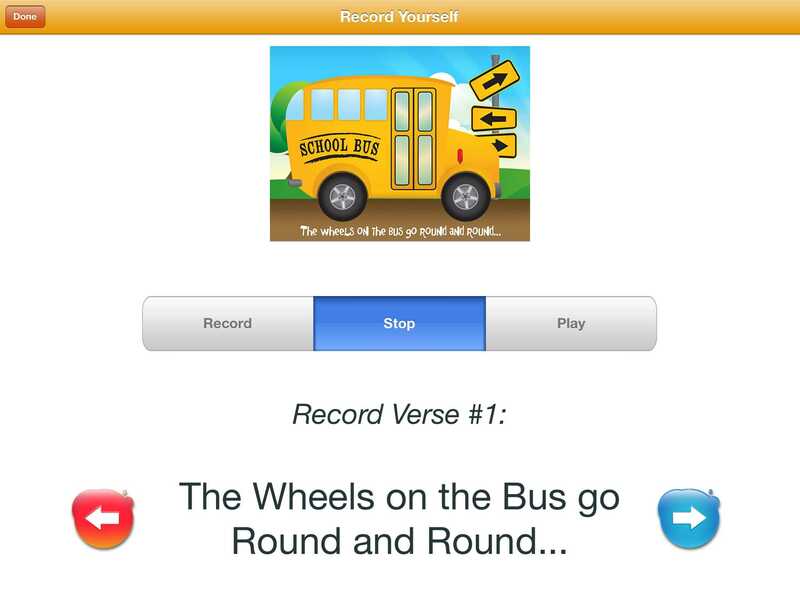 The classic children's song gets a facelift in this app as it adds zany, original stanzas. With rich interactivity, this is a must-download for families with toddlers. 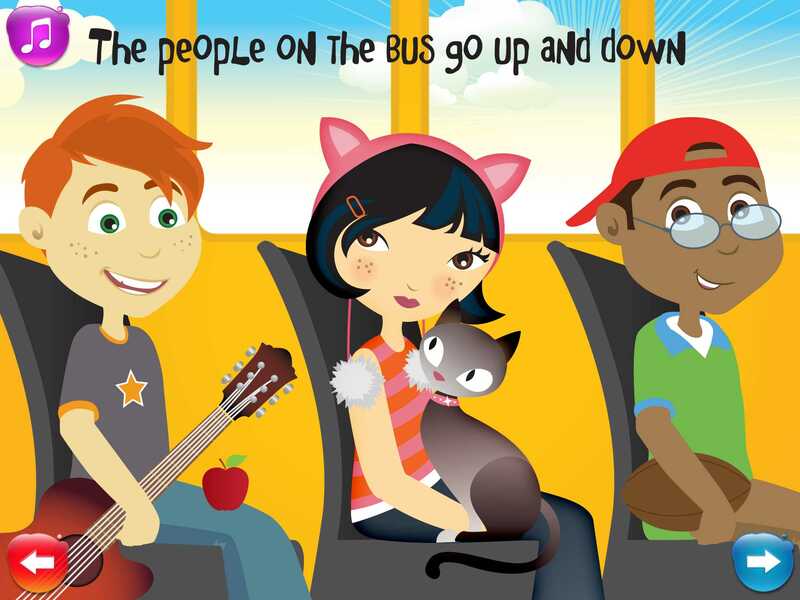 A fabulous rendition of the popular children's song, filled with adorable characters and outstanding interactions. 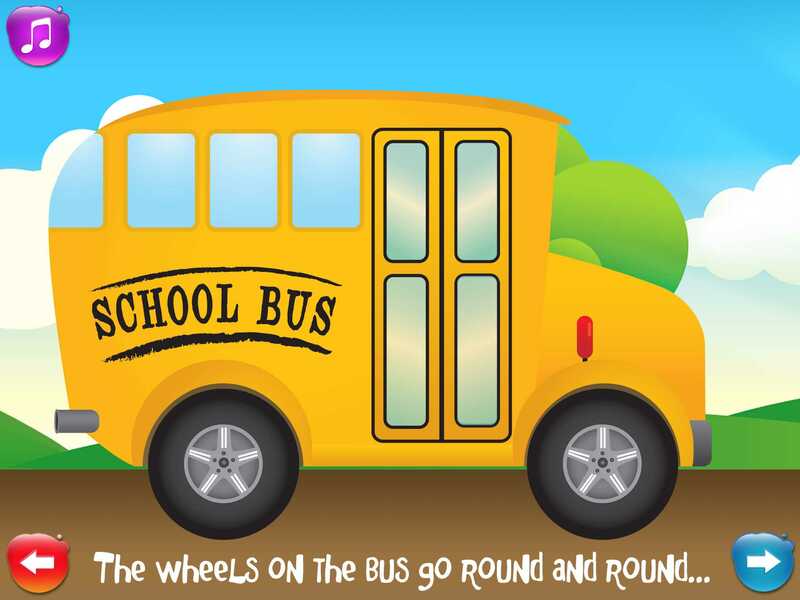 This app brings to life the beloved children's song, Wheels on the Bus, by letting kids interact with almost everything on the screen. Kids make the doors "open and close" and move the windshield wipers so that they so "swish, swish, swish." Even the bus gets into the action by appearing to be alive with moveable eyes. This app features bright, bold graphics. Almost everything on the screen reacts when touched, starting with the bus itself. When kids touch it in the first scene, it starts driving across the page. But the real inventiveness of this app are the zany new stanzas added to the traditional song. 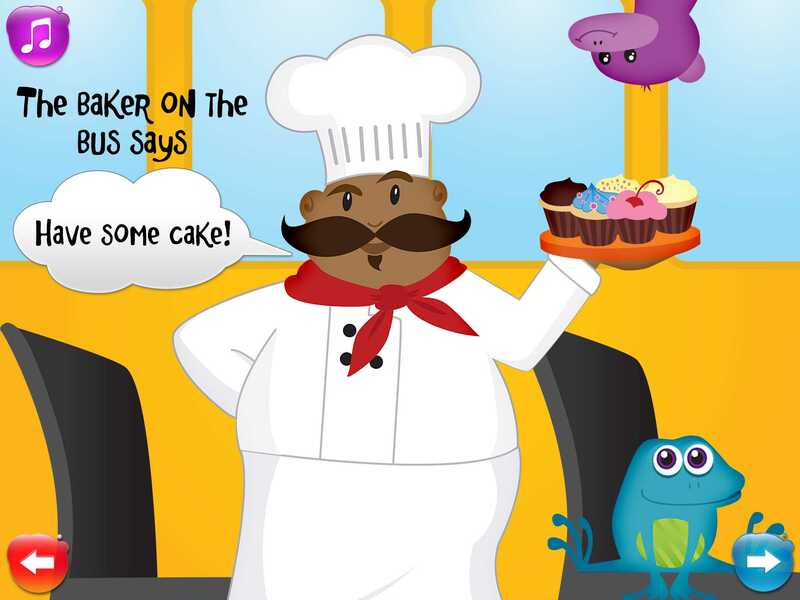 Kids will be singing about how "The baker on the bus says 'Have some cake'" for refreshing fun. Also excellent is the ability to change the performer of the song. The music can be played by a kazoo, violin, piano, or cello. Your child can even record his/her own voice singing the song. It can also be sung in five languages (English, Spanish, French, German, and Italian). By going to the device settings, parents can hide the page-turn buttons and have the song automatically turn the pages. This app is great for all toddlers and preschoolers.